The Cabinet Committee on Economic Affairs, chaired by the Prime Minister Shri Narendra Modi, has given its approval for development of the eight laning of Mukarba Chowk to Panipat section of National Highway – 1 in Delhi and Haryana. The approval is in BOT (Toll) mode on Design, Build, Finance, Operate and Transfer (BOT/DBFOT) basis. The cost is estimated to be Rs.2204.51 crore including cost of land acquisition, resettlement and rehabilitation and other pre-construction activities. The total length of the road will be approximately 69.84 kms. The main object of the project is to improve infrastructure in the states of Delhi and Haryana and also in reducing the time and cost of travel for traffic, particularly heavy traffic, plying on this sector. The road is a part of Sher Shah Suri Marg (now NH-1) connecting the States of Jammu & Kashmir, Punjab, Himachal Pradesh, Haryana, Chandigarh and Western Uttar Pradesh with Delhi. This road is also important from a strategic/defence point of view as it leads to the borders of the country. Development of this stretch will help in uplifting the socio-economic condition of the concerned regions of Delhi and Haryana and would also increase employment potential for local labourers for project activities. The project is covered in the region of Delhi and Haryana. The Cabinet Committee on Economic Affairs, chaired by the Prime Minister Shri Narendra Modi, has given its approval for development of the four laning of the Solapur-Bijapur section of National Highway – 13 in Maharashtra and Karnataka. This work will be under the National Highways Development Project (NHDP) Phase-III. The approval is in BOT (Toll) mode on Design, Build, Finance, Operate and Transfer (BOT/DBFOT) basis. The cost is estimated to be Rs.1537.64 crore including cost of land acquisition, resettlement and rehabilitation and other pre-construction activities. The total length of the road will be approximately 109.07 kms. The main object of the project is to expedite the improvement of infrastructure in Maharashtra and Karnataka and also in reducing the time and cost of travel for traffic, particularly heavy traffic, plying on the Solapur-Bijapur sector. NH-13 connects the districts of Solapur in Maharashtra and Bijapur in Karnataka. The development of this stretch will also help in uplifting the socio-economic condition of the concerned regions of the State and would also increase employment potential for local labourers for project activities. The project is covered in the region of Solapur and Bijapur. 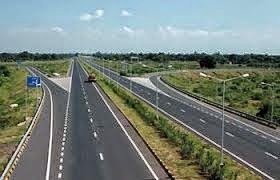 The Cabinet Committee on Economic Affairs, chaired by the Prime Minister Shri Narendra Modi, has given its approval for development of the six laning of Agra-Etawah section of National Highway – 2 in Uttar Pradesh This work will be under the National Highways Development Project (NHDP) Phase-V. The approval is in BOT (Toll) mode on Design, Build, Finance, Operate and Transfer (BOT/DBFOT) basis. The cost is estimated to be Rs.1787.02 crore including cost of land acquisition, resettlement and rehabilitation and other pre-construction activities. The total length of the road will be approximately 124.52 kms. The main object of the project is to expedite the improvement of infrastructure in Uttar Pradesh and also in reducing the time and cost of travel for traffic, particularly heavy traffic, plying on the Agra Etawah sector. NH-2 connects the important industrial towns of Agra, Firozabad, Mainpuri, Etawah and other towns in the South-Western part of Uttar Pradesh. The development of this stretch will also help in uplifting the socio-economic condition of the concerned regions of the State and would also increase employment potential for local labourers for project activities. The project is covered in the region of Agra and Etawah. The Government of India, Department of Atomic Energy had received representations from Atomic Energy Employees Union and others to preserve the bungalow of late Dr. Homi Jehangir Bhabha as a national monument. The Department of Atomic Energy (DAE) had written to the Hon’ble Chief Minister of Maharashtra to declare the bungalow ‘Mehrangir’ as a “National Monument” under the provisions of Maharashtra Ancient Monuments and Archaeological Sites and Remains Act, 1960. DAE as Respondent No.5 in the PIL No.68/2014 on the same matter in the Bombay High Court had filed an affidavit requesting the Hon’ble High Court, Bombay to issue a direction to Respondent No.1 to 3 viz. Chief Secretary of Government of Maharashtra, Additional Chief Secretary, Tourism & Cultural Affairs. Govt. of Maharashtra and Chairman, Mumbai Heritage Conservation Committee (MHCC) to take immediate steps to list the Bungalow “Mehrangir” as a protected monument. The Hon’ble High Court, Bombay vide its Order dated 17.9.2014 disposed the PIL observing that “the purpose of the Public Interest litigation was to activate the State and Central Authorities into taking steps; Now that the authorities are alive to the situation, no useful purpose will be served by keeping this Public Interest Litigation pending any further.” Subsequently, DAE had again written a letter to Secretary, Tourism and Culture Affairs Department of the Government of Maharashtra to declare the bungalow as ‘Protected Monument’. The matter is pending with the State Government of Maharashtra. After death of Dr. Homi Jehangir Bhabha in 1966, his brother Shri Jamshed Jehangir Bhabha was the sole owner of the property. Before his death in 2007, Shri Jamshed Jehangir Bhabha had executed a Will on 4th September 1990 “bequeathing his estate and effects unto his Trustees upon Trust to sell, call in and convert into money the same, to be utilised in the form of a commemorative capital donation to the National Centre for Performance Arts (NCPA) on the condition that a suitable segment thereof shall bear the name Jamshed Bhabha”. The said bungalow has since been auctioned by the NCPA on 18.6.2014. As part of the civil nuclear cooperation, India has entered into Inter-Governmental Agreements (IGA) with France, USA, Russia, Namibia, European Union, Canada, Argentina, Czech Republic, Kazakhstan, Republic of Korea, Vietnam and Sri Lanka, some of whom are uranium producers and suppliers. At present four indigenous nuclear power reactors, KAPP 3&4 (2X700 MW) at Kakrapar, Gujarat; and RAPP 7&8 (2X700 MW) at Rawatbhata, Rajasthan, are under construction and are expected to be completed by 2019. In addition, a Prototype Fast Breeder Reactor of 500 MW capacity is at an advanced stage of commissioning at Kalpakkam, Tamil Nadu. Financial sanction has been accorded for two indigenous reactors i.e. GHAVP 1&2 (2X700 MW) at Gorakhpur, Haryana and these are being readied for launch in 2015 - 16. These are scheduled for completion in 2021. Two more indigenous 700 MW reactors are also expected to be to be completed by 2024. Pre-project activities are in progress at various stages at these sites, where the projects will be taken up progressively, in phases of twin units at a site. The Department of Atomic Energy (DAE) has set for itself an ambitious target of reaching an installed generation capacity of 63000 MWe by the year 2031-32. The installed nuclear generation capacity by 2031-32 would depend on actual start of projects and their completion, which in turn would be contingent to completion of pre-project activities like land acquisition and obtaining statutory clearances and conclusion of techno-commercial discussion in respect of reactors to be set up with foreign co-operation. The epidemiological survey for heath assessment of employees working in the nuclear power plants and their families, who stay in the nearby township and villages, have been carried out for the nuclear power plant sites by reputed local medical colleges and the analysis has been carried out by Tata Memorial Hospital, Mumbai, the premier cancer research centre of the country. These studies have found that the morbidity pattern of all ailments in and around nuclear power plants is lower than the national average of the corresponding ailments. There has also not been any rise in cancer morbidity in these areas, compared to national average. This information was given by MoS in the Prime Minister’s Office and Minister of State in the Ministry of Personnel, PG & Pensions, Dr Jitendra Singh in written reply to an unstarred question in the Lok Sabha today.